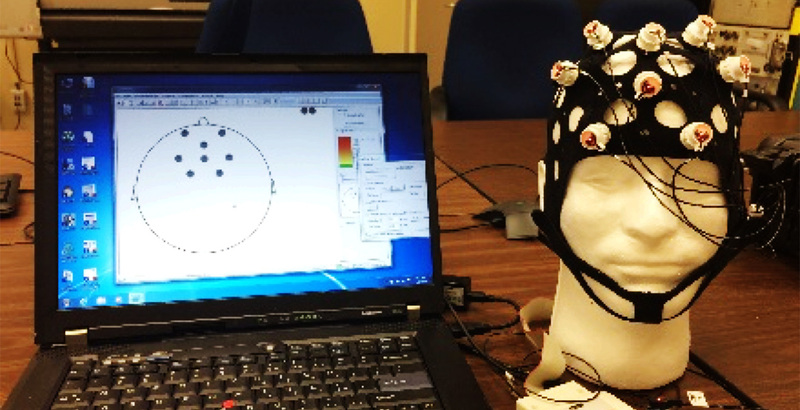 An electroencephalography (EEG) cap that Greening helped troubleshoot. This summer, I had the honor of participating in an internship at the National Aeronautics and Space Administration (NASA) Johnson Space Center (JSC) in Houston, Texas. Specifically, I interned for the Project Management and Engineering Branch. This branch supports the Human Health and Performance Directorate (HH&P) and is responsible for developing and supporting human systems hardware for the International Space Station (ISS). When a principal investigator’s research project on the ISS is given the green light, the Project Management and Engineering Branch develops and maintains the necessary hardware and software for transport to the ISS. During my summer internship, I worked on three projects. These projects were modifying a commercial centrifuge, testing ultrasound equipment, and evaluating an electroencephalography (EEG) cap. Through this NASA internship, I was able to apply my biomedical engineering training to my tasks, network with employees and other interns, learn the language (many, many acronyms) and communication standards, and learn about the human spaceflight research taking place at JSC. 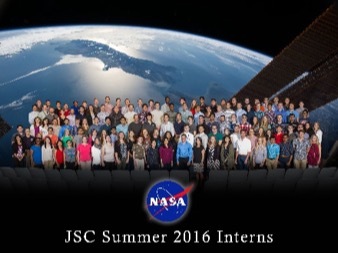 Nearly 130 interns worked in various departments and branches across the entire Johnson Space Center campus. The Johnson Space Center is a huge (over 1,600 acres) campus with over 100 buildings. It was constructed to resemble a college campus to facilitate learning and collaboration between departments. It took me about 5 weeks to really figure out where everything was outside of the building I work in. JSC is NASA’s primary center for human spaceflight science and operations, and is where the astronaut training facilities and Mission Control Center are located, among many other things. The campus is large enough that there is a sizable deer population that permanently lives here, and they are not even slightly concerned with humans…not dissimilar from the campus squirrels at the University of Arkansas. Apparently, there is also an alligator that lives in the JSC lakes, although I never saw it to verify this tale. I worked in building 241, home of the Project Management and Engineering Branch, for my summer internship at the NASA Johnson Space Center. My first task was modifying a commercial centrifuge. One concern with spacecraft such as the ISS is electromagnetic interference (EMI) from onboard equipment, typically from radio waves, which can negatively affect nearby circuitry. Standard commercial centrifuges produce EMI above NASA’s approved safety limits, so my task was to help reduce EMI production from this equipment. To reduce EMI below safety limits, the centrifuge was modified to become a Faraday shield. 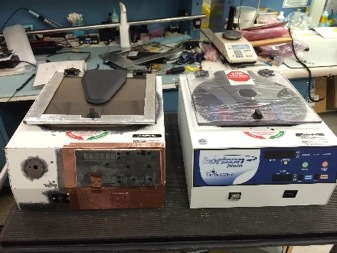 This included applying conductive fabric to the lid and foam sealer, adding a decoupling capacitor across the power supply, and adding copper adhesive-mount gaskets to the housing interior. EMI testing was performed in the EMI/EMC Control Test and Measurement Facility. Results indicated our modifications were successful. 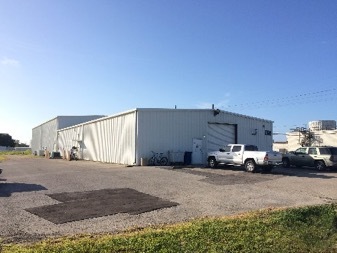 The successful EMI test allowed us to communicate with the industry vendor what modifications they needed to make to their commercial unit to meet our specifications and to understand what needs to be done in lab to the new centrifuge. A final centrifuge will eventually be sent up to the ISS. I was part of a team that modified and prepared a centrifuge for testing the EMI/EMC Control Test and Measurement Facility. My second task was testing ultrasound equipment. The ISS currently has an onboard ultrasound for research and medical purposes. Every piece of medical flight hardware has an equivalent ground-unit so instrumentation can be routinely evaluated and transported to the ISS if necessary. 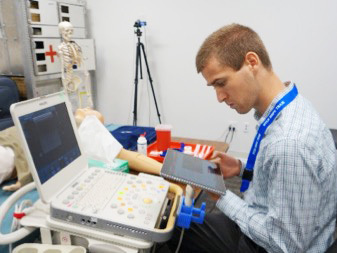 The ground-unit ultrasound equipment must be evaluated periodically using a task performance sheet (TPS). A TPS is a document that is written in such a way that personnel with unspecialized training can follow the tasks. I was responsible for performing six different TPSs on the ultrasounds. Performing a TPS involved documenting each piece of equipment removed from storage locations, setting up hardware and software, performing tasks to verify functionality, and documenting the return of each piece of equipment. My work revealed all ground-unit ultrasounds were functioning properly, and the TPS was then passed along to the Quality Engineering for review and ultimately given to Quality Assurance. I received training on running an ultrasound and evaluated their working condition by completing task performance sheets. My third task was evaluating an EEG cap. An EEG cap will eventually be sent up as a payload to the ISS for research purposes. Commercial EEG systems can either be a wet electrode or dry electrode system. Wet electrode EEG systems are more comfortable, can be worn for longer periods of time, and have increased signal-to-noise. However, astronauts must clean their heads after each use with wet electrode systems, and since reducing crew time while maintaining adequate signal to noise is the primary engineering requirement, dry electrodes were chosen. My tasks were, therefore, evaluating cap comfort, troubleshooting connection problems, and communicating with the principal investigators about data reliability. 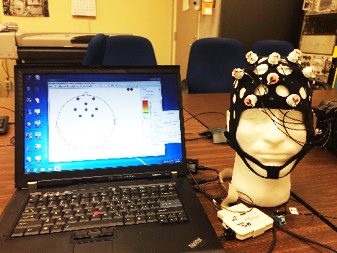 I helped troubleshoot an electroencephalography (EEG) cap and communicated with principal investigators about their research requirements. My 10-week internship at the Project Management and Engineering branch as NASA JSC has helped me understand how space systems hardware development for the ISS fits into NASA’s mission and vision. It has increased my engineering knowledge and my ability to integrate into a large, multi-departmental engineering and management team. But the thing I’ve learned most is that team communication is perhaps the most useful skill for a team to move forward effectively. In addition to work, I got the opportunity to participate in the Space Life Science Summer Institute (SLSSI). The SLSSI was a series of lectures from principal investigators and astronauts who described their human research at NASA JSC. Lecture topics included neuroscience, tissue culture, nutritional biochemistry, exercise physiology, cardiovascular research, and space radiation, among many others. 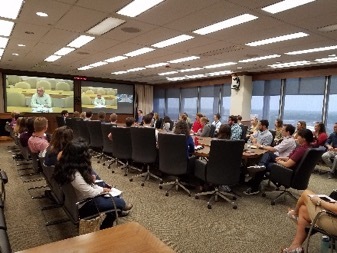 We also had the opportunity to speak with Dr. David Wolf, a four time space shuttle astronaut, Dr. Kjell Lindgren, an ISS astronaut, and Charles Bolden, the current Administrator of NASA. 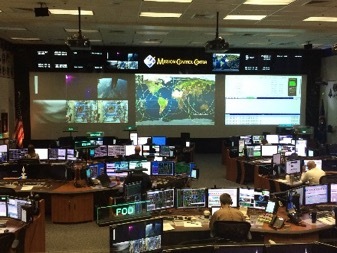 I got to tour Mission Control, which manages human space flights, and the Human Exploration Research Analog (HERA), a multi-story habitat that simulates the isolated conditions in human space exploration. Finally, I got to speak on the Graduate Student Panel to answer current undergraduate interns’ questions about graduate school. Through the Space Life Science Summer Institute (SLSSI), I got to speak with former space shuttle astronaut and current NASA Administrator, Charles Bolden, via teleconference to NASA Headquarters in Washington, D.C.
My internship was very challenging at times, but besides learning some new skills, the most important thing for me was better defining the things I want in a career, and this personal growth was extremely valuable. I met many talented and hardworking individuals, who have helped shape my perspectives on NASA and the working world in general. For that, I will always be thankful. I was offered with an extension of my summer internship and will be continuing my work through December 2016 for the Project Management and Engineering Branch. I’m excited to see where my work will take me over the next several months as I dive deeper into these projects. I encourage both undergraduate and graduate students to consider applying for internships and careers at NASA…there are a ton of different types of internships. Internships can be found for all engineering disciplines as well as for business and administrative positions. I hope to make future updates on my internship projects, and would be happy to answer any questions for interested students. One of the highlights of the internship was touring Mission Control Center, which is currently managing operations for the International Space Station. To read more about Gage and his work, be sure to check out our interview with him!